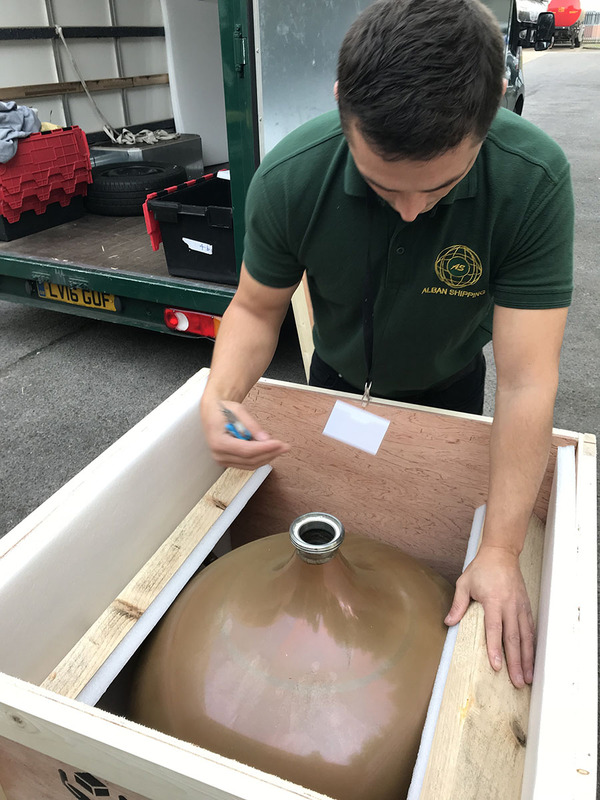 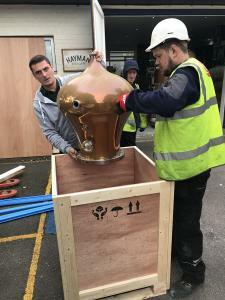 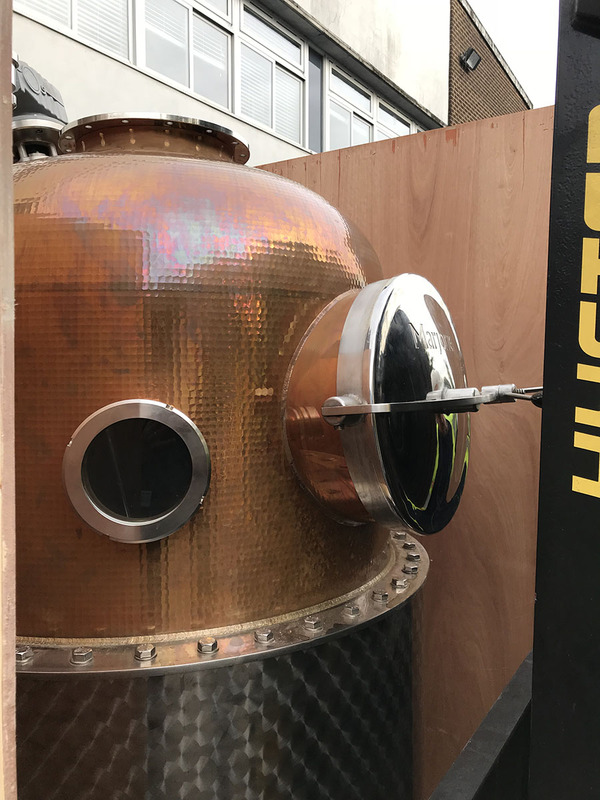 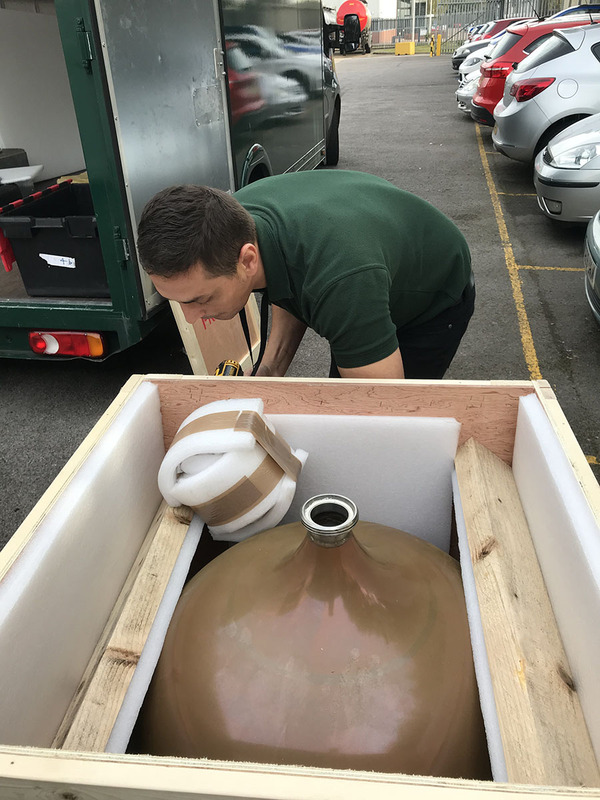 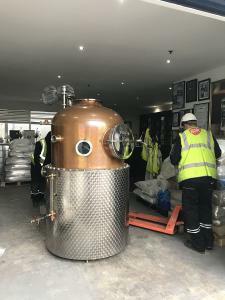 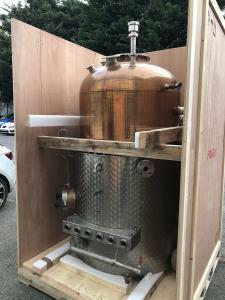 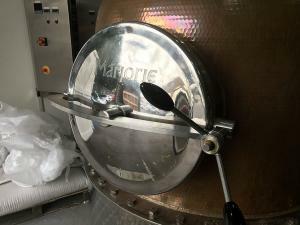 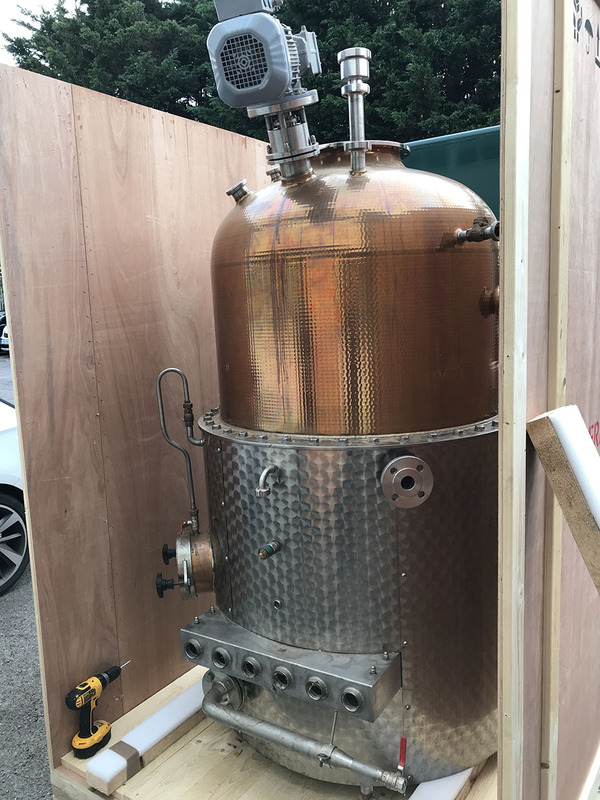 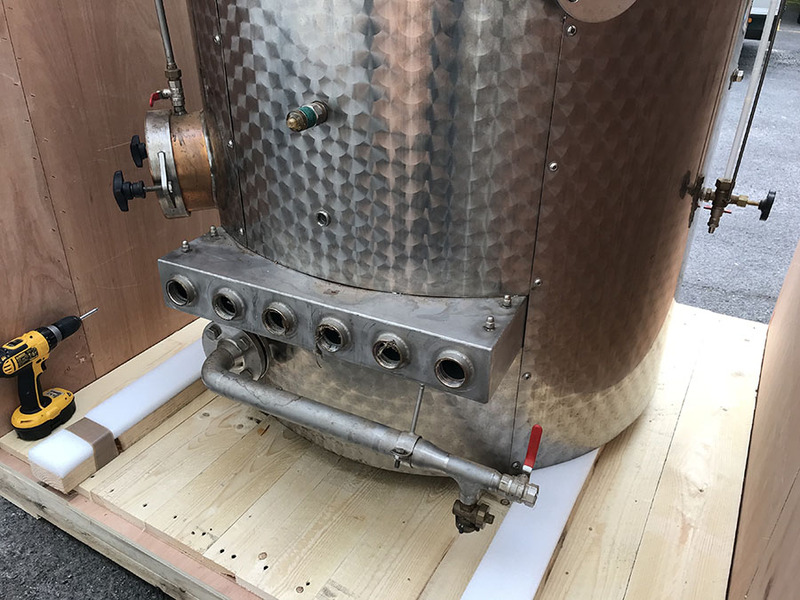 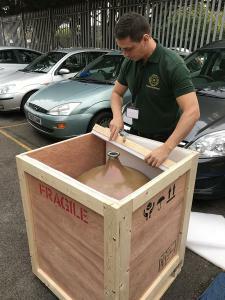 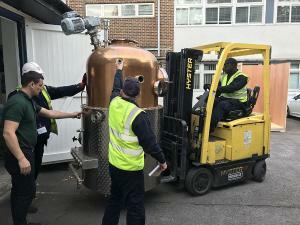 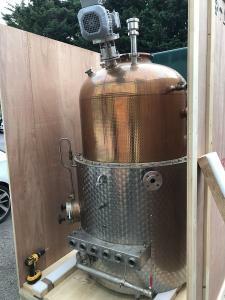 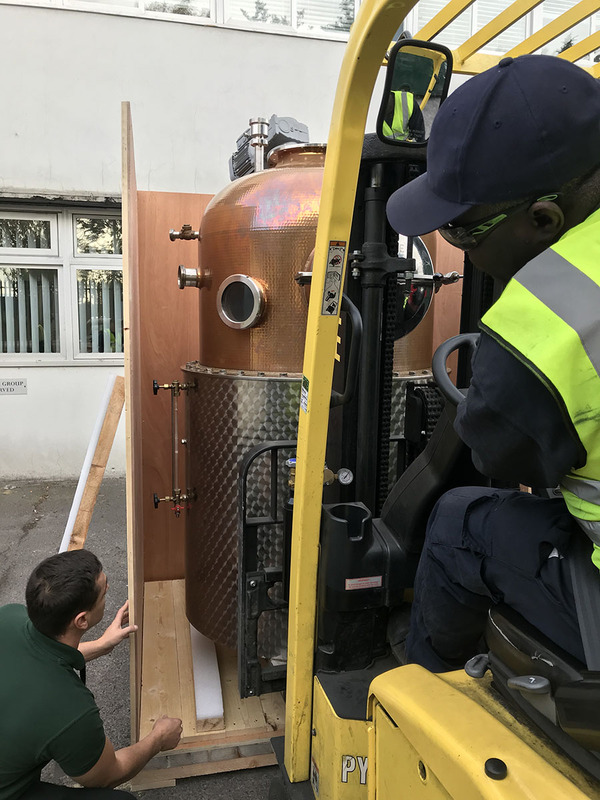 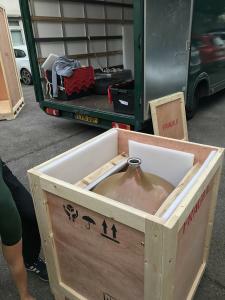 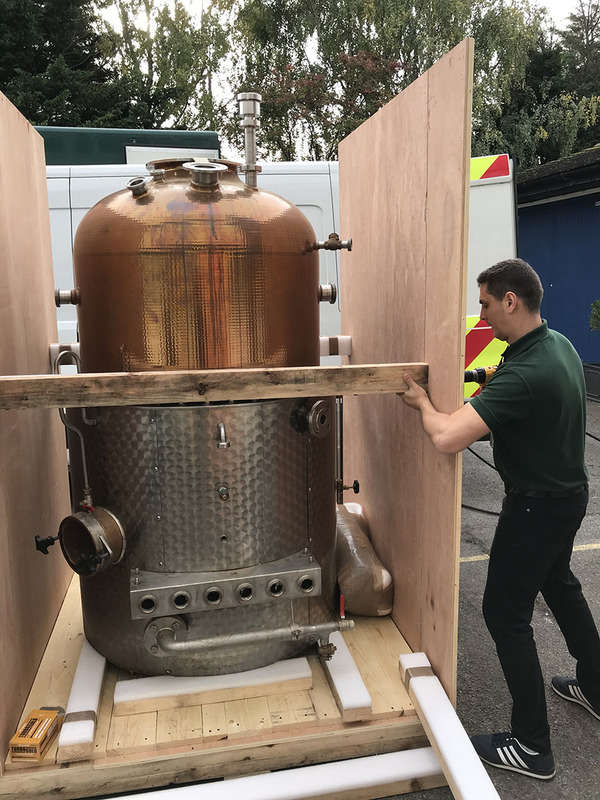 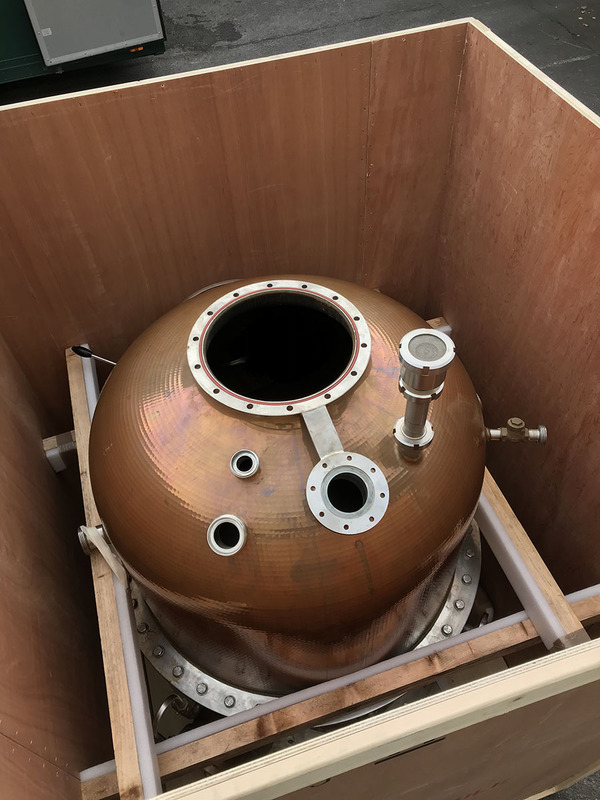 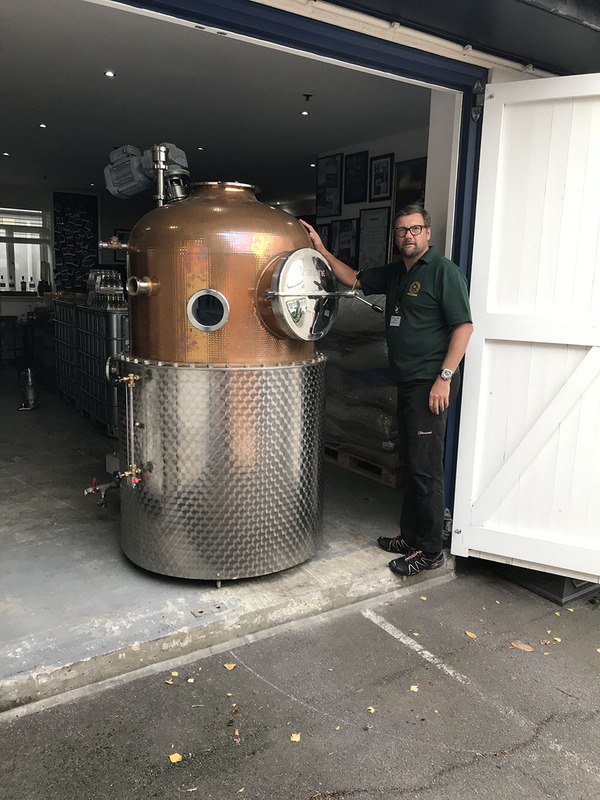 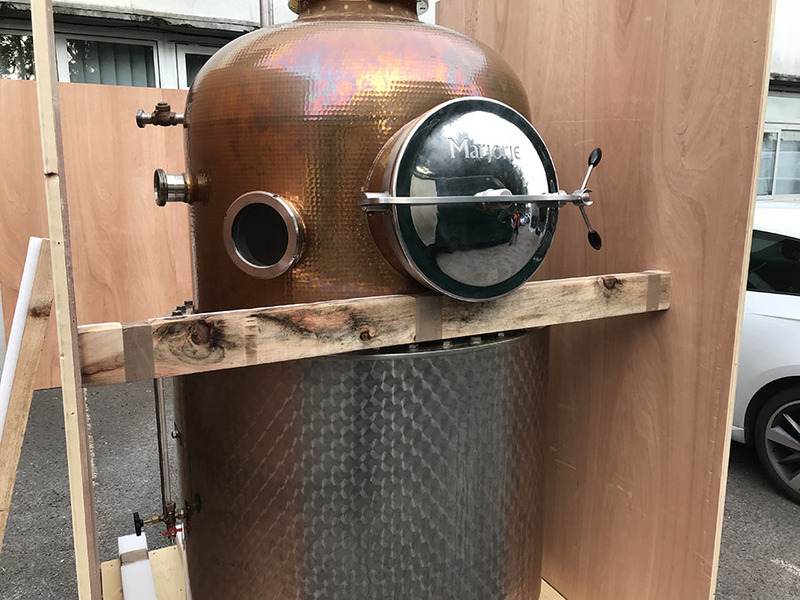 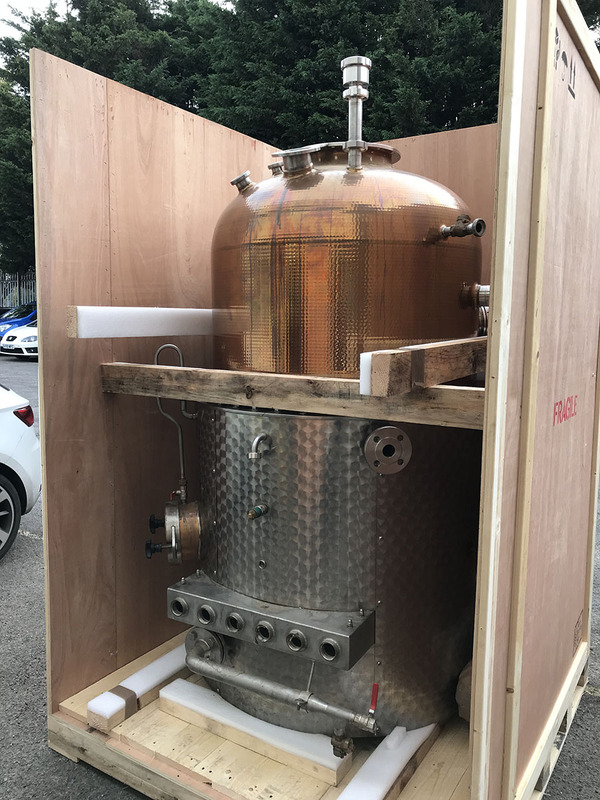 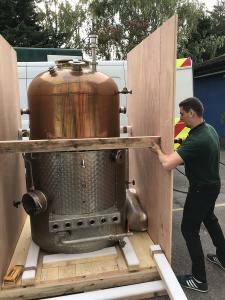 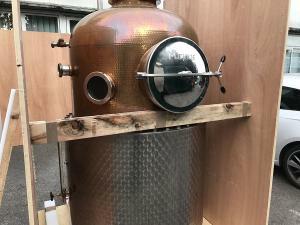 We were lucky to get a call from Haymans, producers of very fine English gin, who told us they needed some expert help with the packing and transportation of their traditional copper still (named, affectionately, after Christopher Hayman’s mother Marjorie‘). We dispatched our team to the Haymans distillery in Witham, Essex, where we got to work building crates to house the various components of the still. 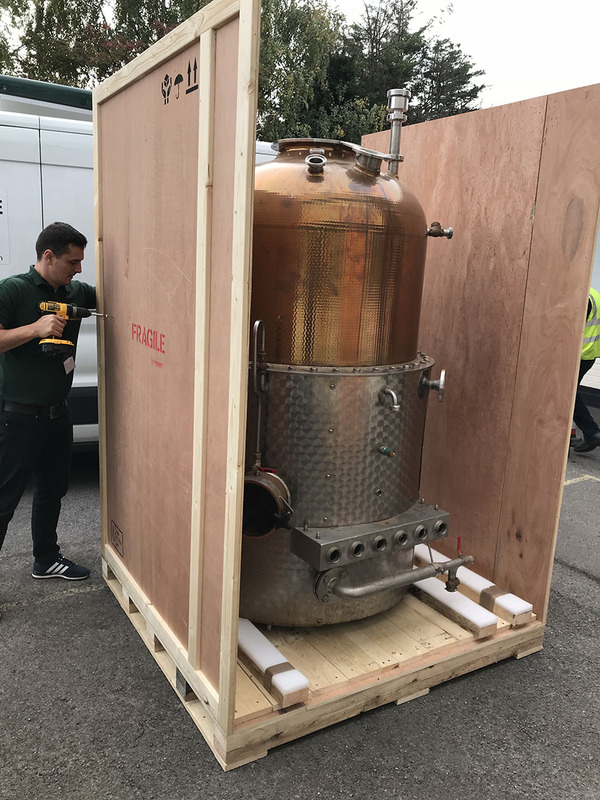 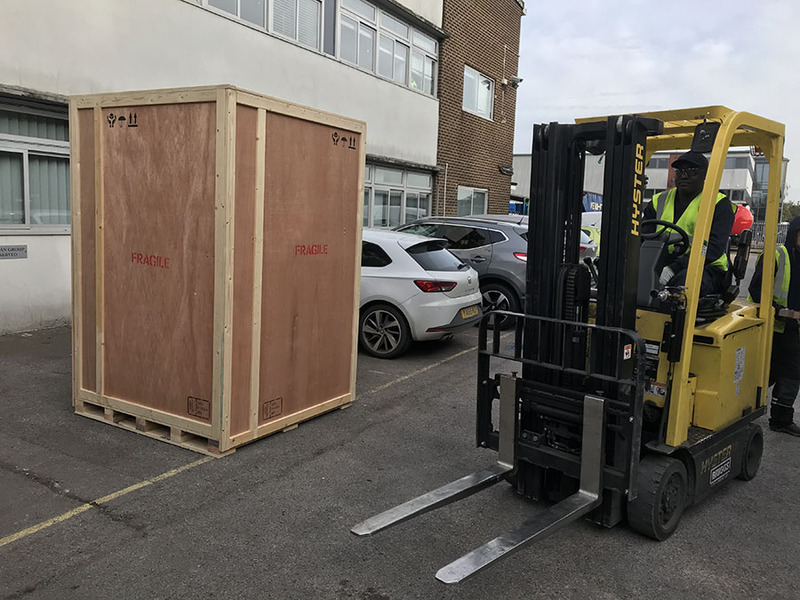 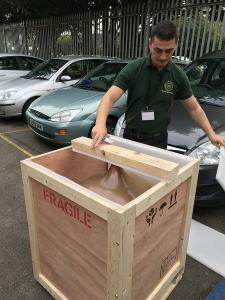 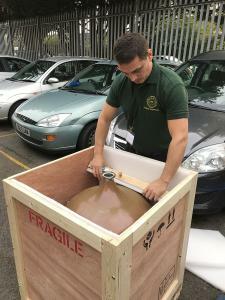 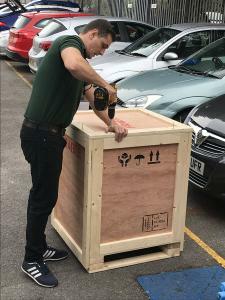 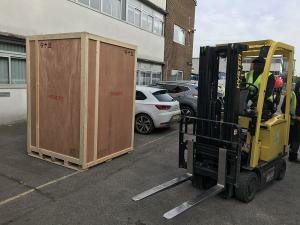 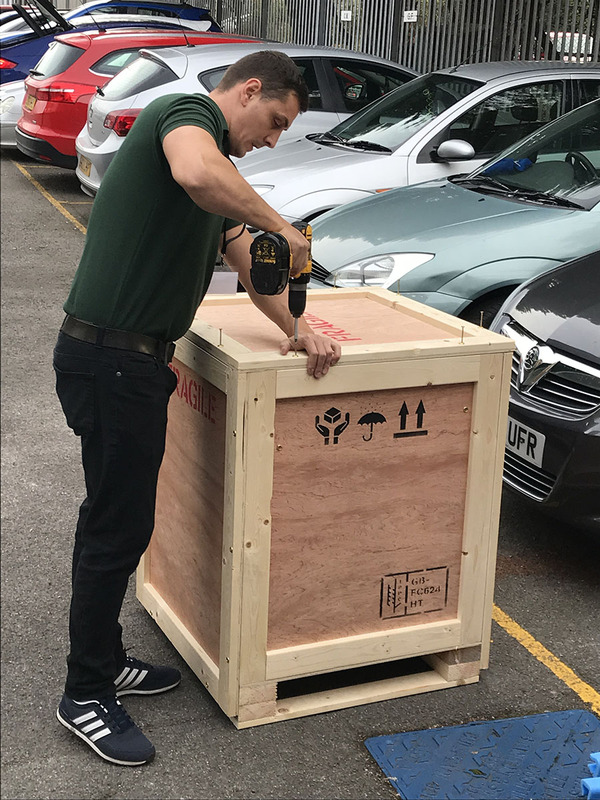 Throughout the process, our team borrowed from years of packing expertise to ensure this wonderful piece of equipment was packed safely and securely for the journey to Stuttgart. 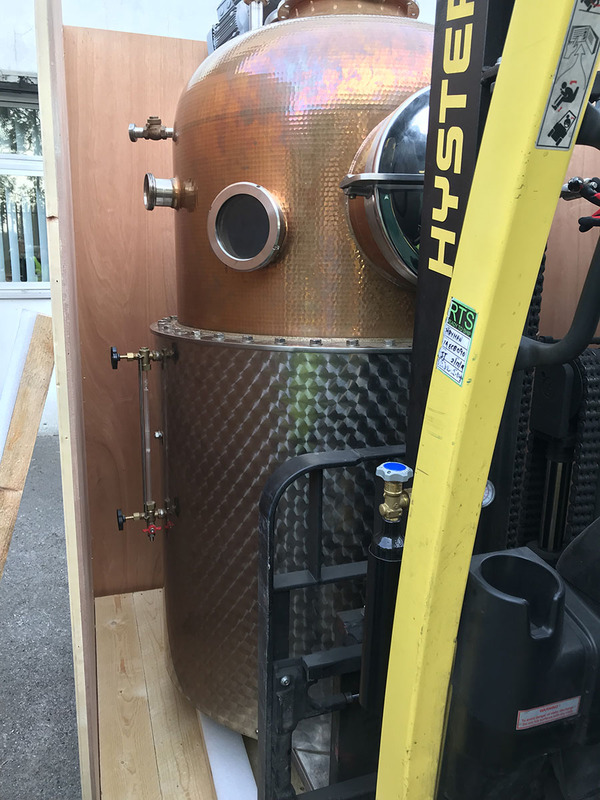 We’ve documented the entire process in the picture gallery below.